This is my 2nd Telemaster. It is sold as a kit from Hobby Lobby. It's definitely not an ARF, but it is a great trainer. It's well behaved and easy to teach people with. It's a low-stress bird to fly. 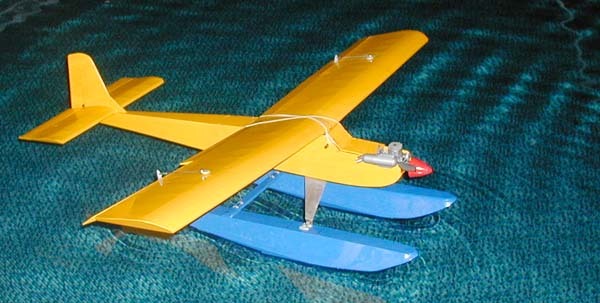 I've flown this one with wheels, skis, and floats. It is also good at lifting and towing heavy loads. I built this one with an internal bomb bay with a sliding bomb door. We drop Mickey Mouse attached to a parachute from there. It also has an external pin that retracts. We rubber band rolls of toilet paper to the pin. You should have seen the neighbor's face when he came home and found the top of his 80 foot tree TP'ed! I replaced the OS .40LA with an OS .46FX to carry the floats. It turns out that was unecessary. I put the .40LA back on it and it does fine even on floats. Wing span is about 73"
Here it is in my swimming pool, floating for the first time. 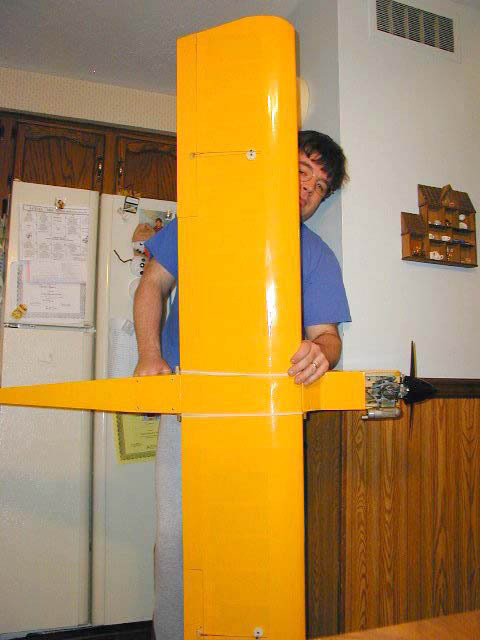 Floats were scratch built from drawings found on the internet. They are completely balsa, covered in MonoKote. I finally installed a water rudder (not pictured). 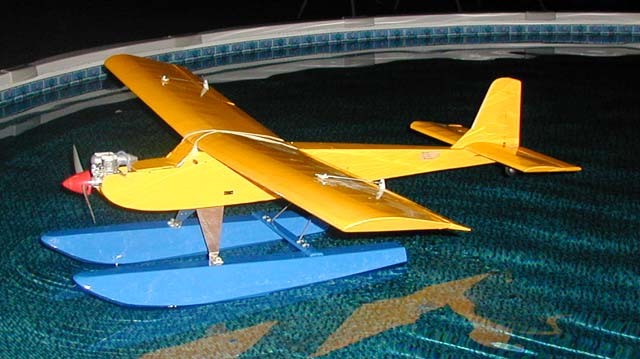 Without the rudder, take offs and landings were fine, but taxiing in the water was impossible. It just wanted to idle its way up wind. 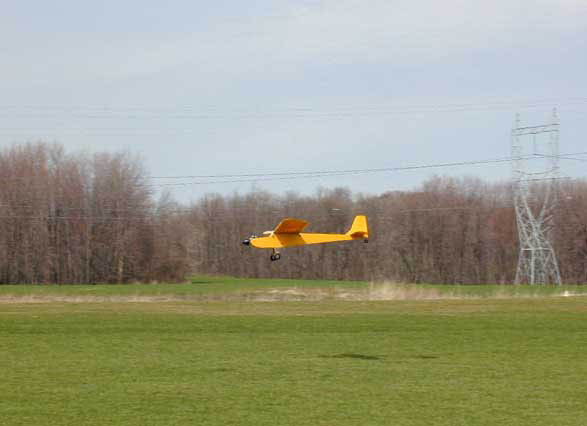 High throttle and full air rudder produced something like ground loops (water loops?). After many failed attempts to bring it back, I shut off the motor and went out in a boat to get it. With the water rudder I was able to drive it right up onto the beach, completely out of the water.